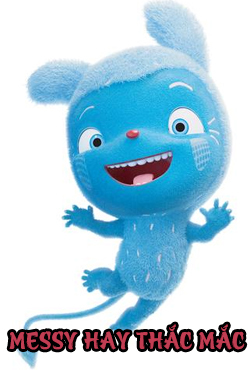 Messy Goes to OKIDO is a comedy adventure series starring Messy, a little blue monster who lives in your house. If there’s jam in the kitchen or odd socks under the bed, then Messy has been about. He’s furry and purry and always wants to go to OKIDO, a magical land where his friends Zoe and Felix live. They love to see Messy, he is huge fun from the second he arrives by trampoline at their house. Together they can do ANYTHING especially when helped by the scientists, Zim, Zam and Zoom who have a huge laboratory on telescopic legs where they make a rocket to go to the moon, or a voice changing machine. Everything in OKIDO is larger than life. You might find out what gravity or language means, but not before having a brilliant time.